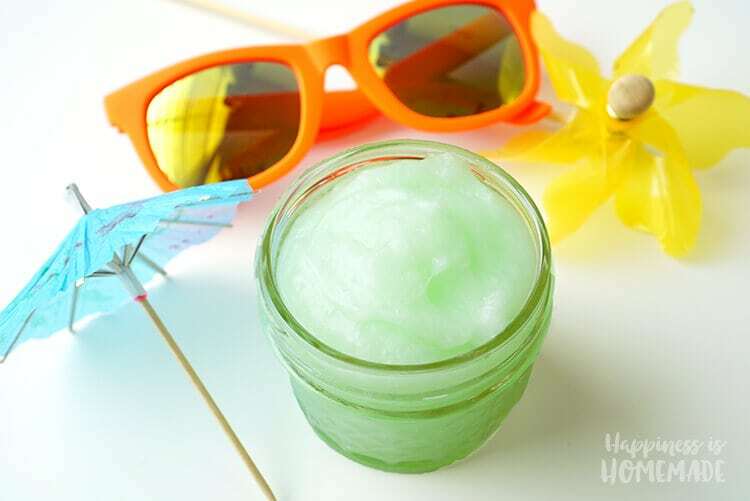 This soothing homemade sunburn relief cream cools and heals with coconut oil, aloe vera, lavender and peppermint – perfect if you’ve gotten too much sun! Summer is in full swing, and summer seems to go hand-in-hand with an occasional sunburn from time to time. My family is diligent about frequently applying 50+ sunscreen whenever we’re outdoors, but my two younger sons and I both have super fair skin that burns in an instant if sunscreen isn’t reapplied quickly enough. 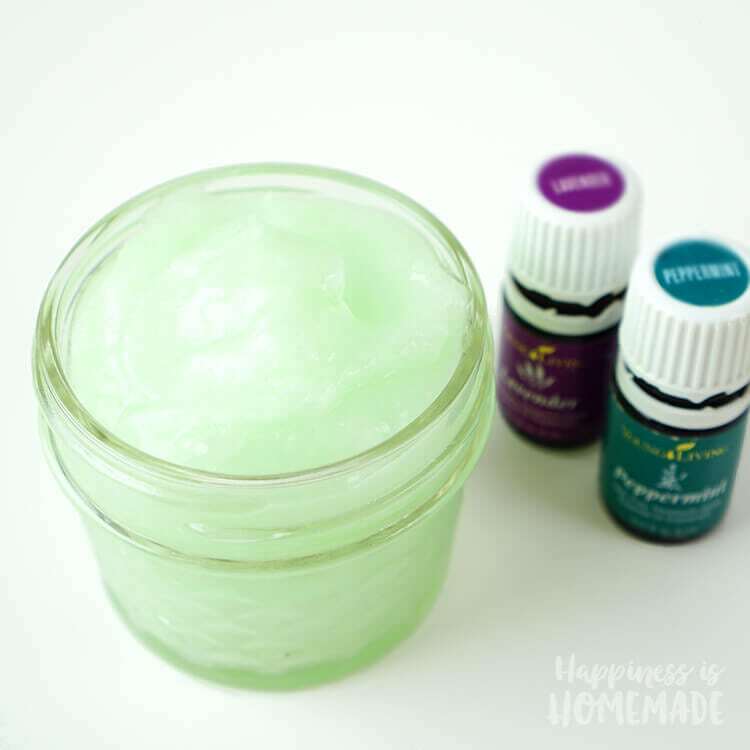 When those rare accidental sunburns happen, I slather our sore skin in this homemade sunburn relief cream, and it takes away the redness and pain. It also helps to prevent peeling if you apply it right after the burn occurs and keep applying it often. 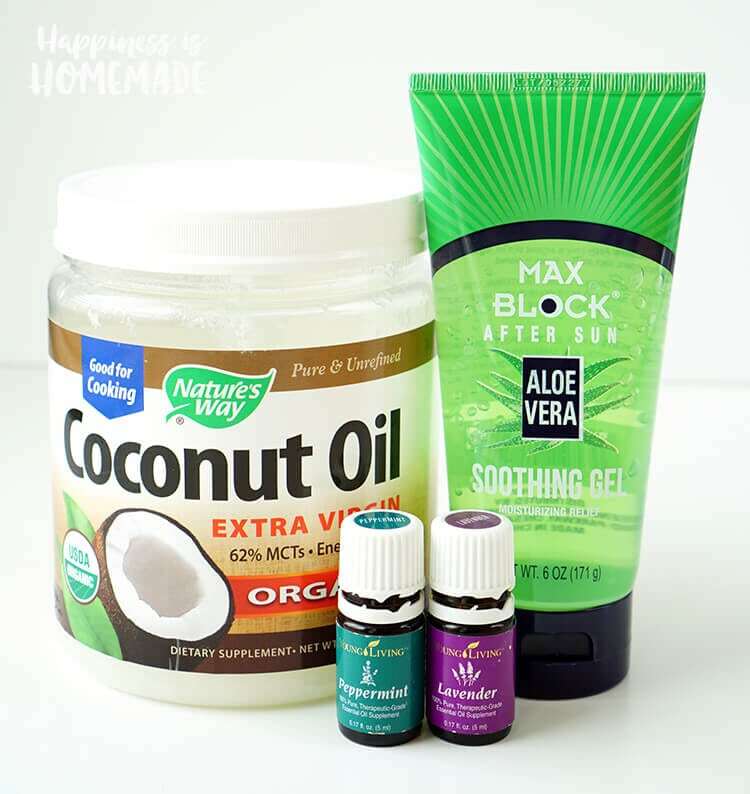 Mix equal parts of coconut oil and aloe vera gel – for this 4 oz. jar, I mixed together 1/4 cup of each. Add lavender and peppermint oils – for this jar, I used 10 drops of lavender and 5 drops of peppermint. Mix well. 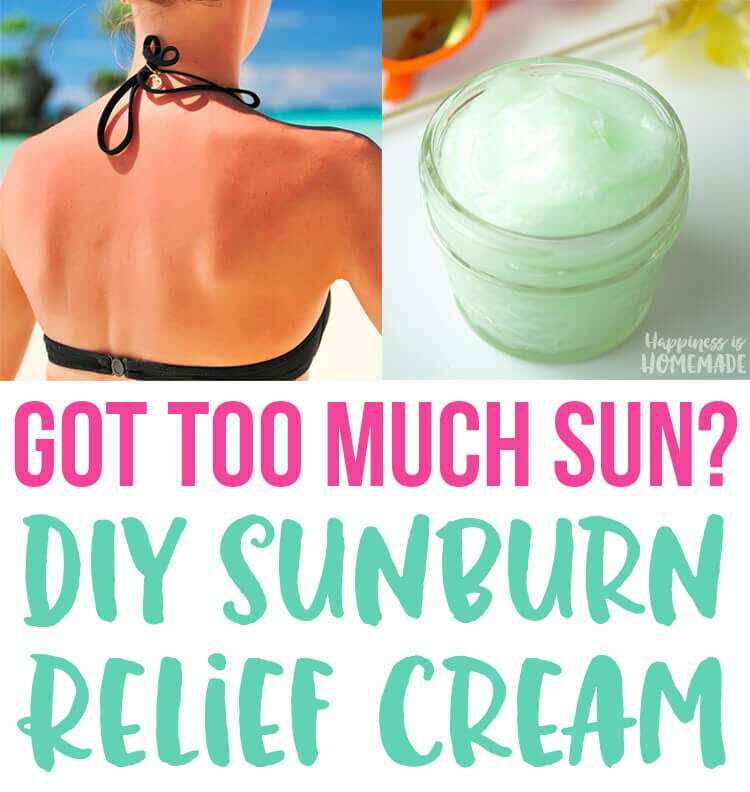 This homemade sunburn relief cream is super easy peasy to make, and it’s seriously amazing how well it works! This soothing salve works wonders on sunburns, and it’s also great for other minor burns as well. It helps to draw away the heat, remove redness, moisturize, and keep you comfortable while the burn heals. 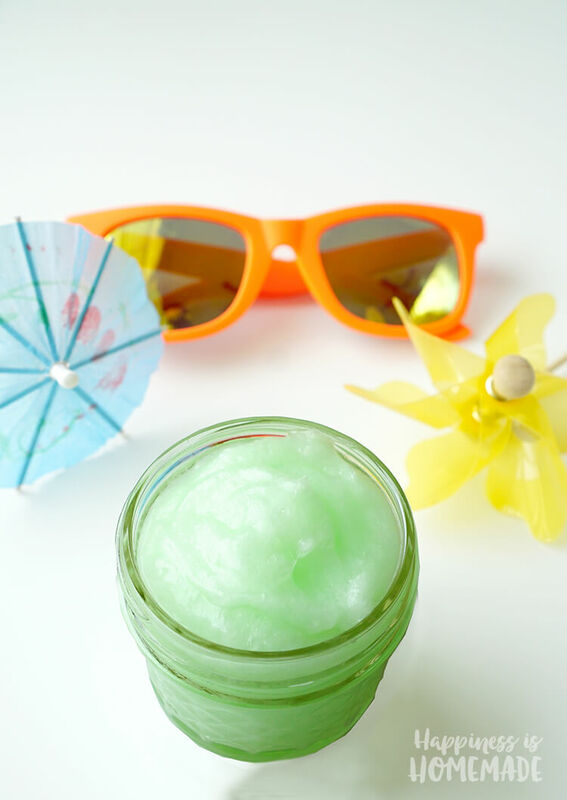 You’ll definitely want to keep this homemade sunburn cream on hand all summer long, and whip up an extra batch to keep in your beach bag, too! It’s doesn’t feel sticky but it melts very fast.. Liquidity!!! I kept it in my cooler, as soon as I took it out it was turning to liquid.. Does feel very nice though and smells great! I’m wondering how it holds up to summer heat? Does it need to be kept in a cool place such as a cooler at the beach? I was out boating all weekend and forgot to put sunscreen on my face yesterday… big mistake! Also I’m thinking if I add in some shea butter it might thicken up nicely, as a whipped butter? Please let me know, thanks kindly ???? Yes, it can be used on the face – just avoid the eye area! Whipping it up with shea butter sounds fantastic! If you try it, let me know how it turns out! Is this safe to use on young children, around 2-3 years old? The salve has a nice feel to it but melts at 72 degrees. Will this recipe work for coconut oil 92 instead? Also, the batch I made is really lumpy. Can I melt the oil, let it cool to a sludge and mix for a smoother consistency?nis aloe gel affected by heat? Is the peppermint essential oil necessary? You can omit it if desired, but it does greatly help with the cooling aspect of the cream!